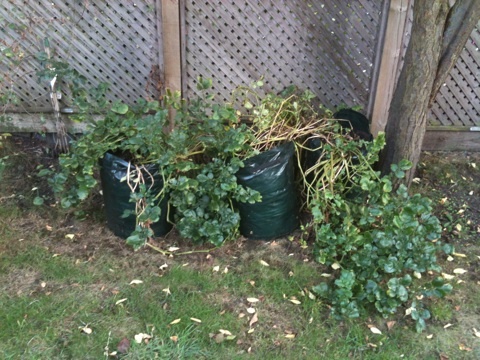 As most years we have a couple of growing bags - one with toms and one with some kind of legume. This year peas, last year french beans, the year before runners. This year we tried something different. 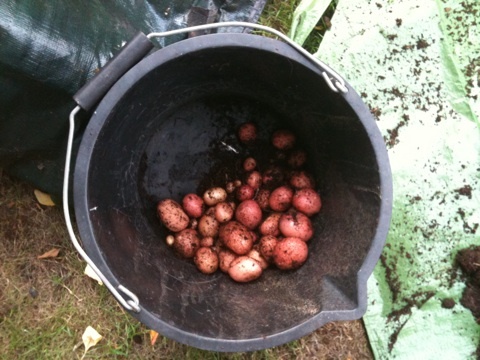 Inspired by our neighbors example we grew potatoes. Mary decided that they were looking a bit scruffy so, as part of the tidy-up before the BBQ, I decided to move one down the alley-way and harvest the other two. 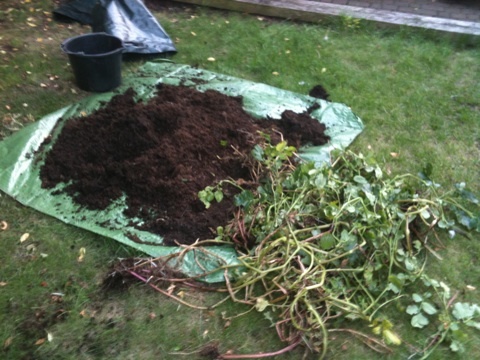 I laid down a garden sheet and tipped two bags out so I could rummage through and extract the new potatoes. And what I got was a pretty pathetic haul - small but perfectly formed. 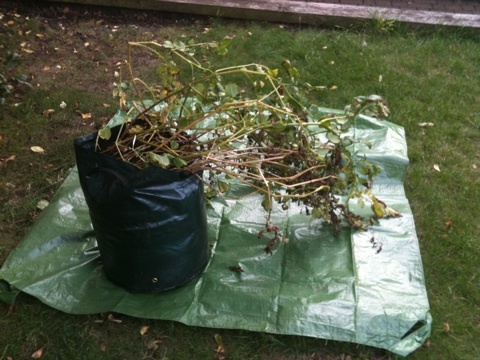 So the third bag is being more scrupulously watered and being given longer to come to fruition. Let's us see what that will yield in a couple of months time. At least you got some produce from them! Good stuff! I'll bet they tasted delicious. I replied on my blog to your question, I live in Bourtreehill, my daughter is in 'the Girdle' as they say up here. LOL. Other daughter used to stay in your part of the world in Surbiton.